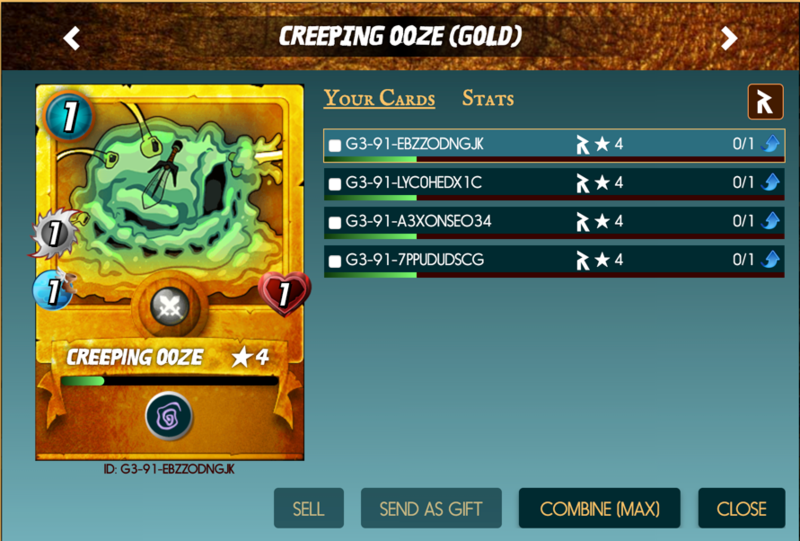 Win This Creeping Ooze Gold Steem Monsters Card For FREE Today! I've only been playing SteemMonsters for a few days, but I've had cards for a while. I won a few in contests and backed them on Kickstarter. Took me a while to get around to opening the packs. Once I did and got to trading and playing, sadly I got a bit addicted. One of my favorite cards is actually the Creeping Ooze. Sure, it's only got one life, but it also only costs one point, and for that you get another target to save another character an attack and Slow cast on all your enemy. I'd love to have it in a gold, because it's a lot more rare and collectable. Congratulations you won the card! Hi Joe, I have this card too, but not the gold version, this card is very good, it require only one point of mana and is perfect to complete our total mana in battles and it make our adversary slowly in attack. It would be great if you send me. Today I bought a Starter Set from Seem Monsters by using paypal. The plan to use paypal was a bad decision because because this transaction takes to long. I have only the Highland Archer and I will receive (hopefully) 30 random monsters from my Starter Set. All in all, it can be said that my collection is a very small one and therefore I am hoping that I will win the Creeping OOZE. Wow, this is a golden card which you are giving away to one of us. Maybe it will be my first golden card.